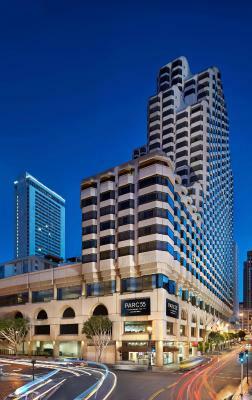 Lock in a great price for Hilton Parc 55 San Francisco Union Square – rated 8 by recent guests! Friendly staff. Great location👌🏽 Will definitely stay here again. Staff, especially Sherryl, was incredible, most helpful. The valles were helpful and took good care of my truck. The room and view were outstanding. Great winter deal, my companion couldn't believe what I paid. 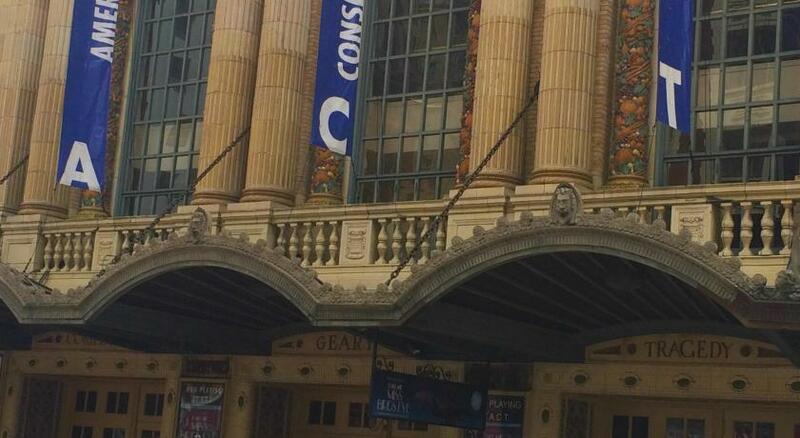 The hotel was two blocks from the venue we were going to. 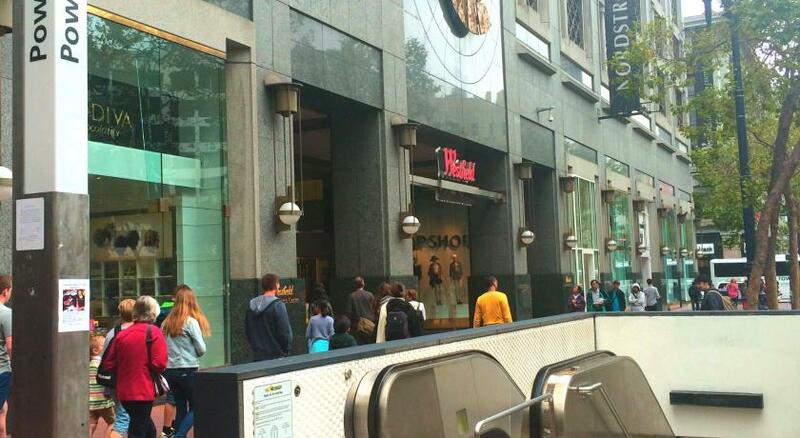 I loved the location of the hotel since it’s near all of the shops like Nordstrom, Macy’s, Sephora etc. Great location close to shopping and public transportation. 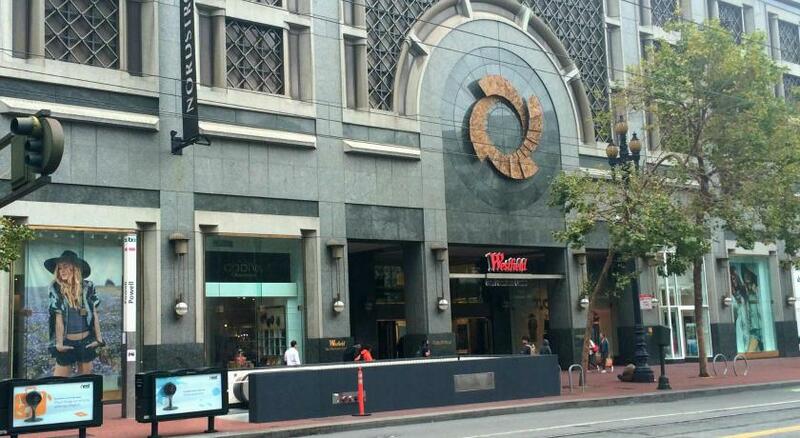 Location is close enough to Union Square and Market St. that it made it easy to get aroud. 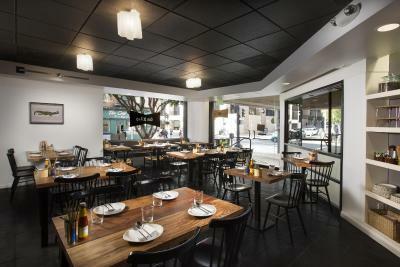 Awesome location nearby shopping areas and restaurants. 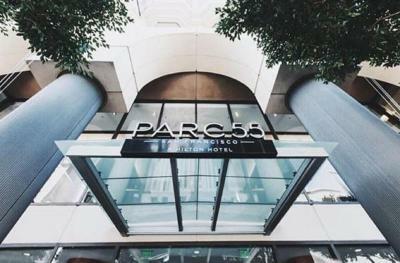 Hilton Parc 55 San Francisco Union Square This rating is a reflection of how the property compares to the industry standard when it comes to price, facilities and services available. It's based on a self-evaluation by the property. Use this rating to help choose your stay! 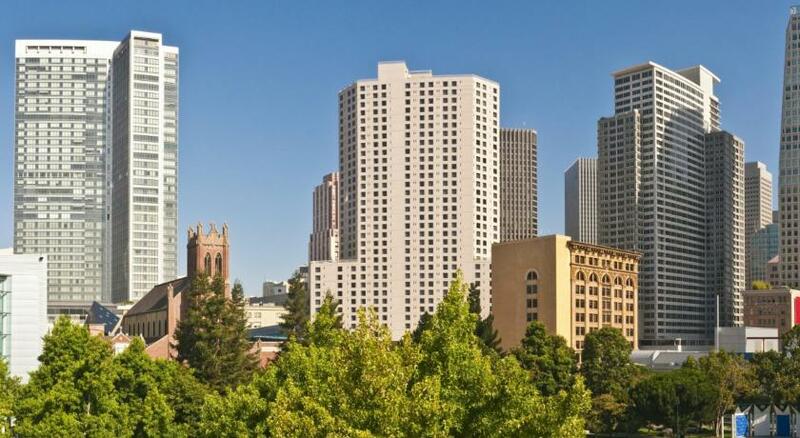 One of our top picks in San Francisco.This downtown San Francisco hotel is a 6 minute walk from Union Square and the Hallidie Plaza, which features a cable car stop. 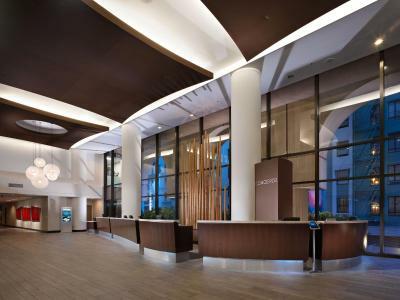 The hotel offers massage services and a tour desk. 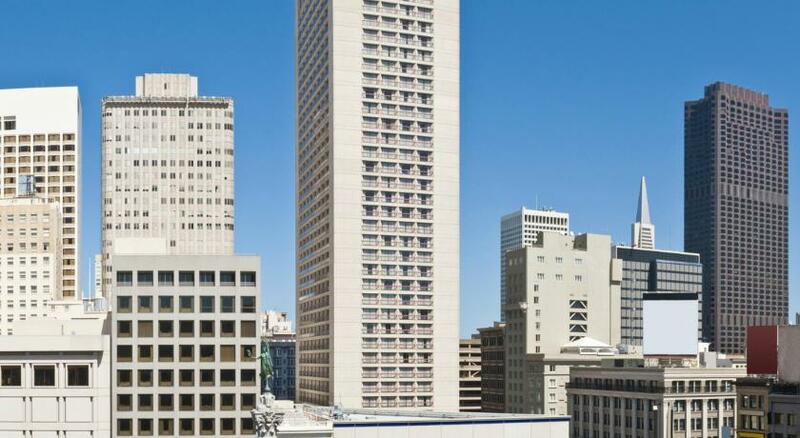 Guests can enjoy the outdoor pool and other amenities at the adjacent Hilton San Francisco Union Square. The spacious rooms at this hotel include a cable TV with internet access on the TV. 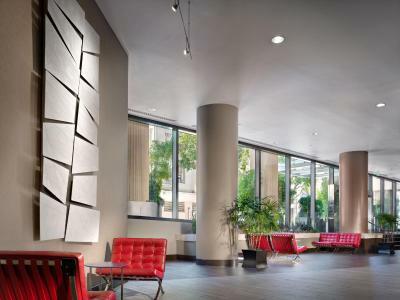 The 100% non-smoking rooms are decorated with custom furnishings and bay-style windows. Small refrigerators are available upon request. 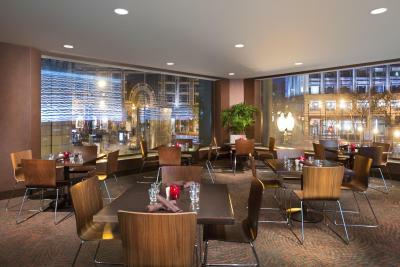 Guests of Hilton Parc 55 San Francisco Union Square can dine at Cable 55, which features unique American cuisine. 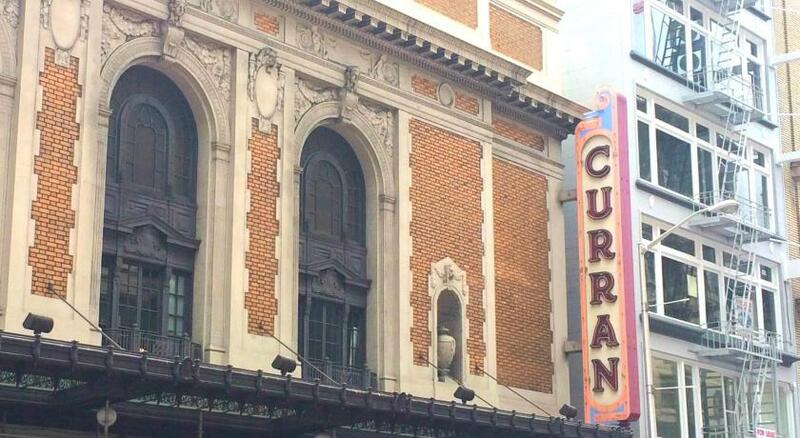 The Barbary Coast is a coffee shop with a full espresso bar. 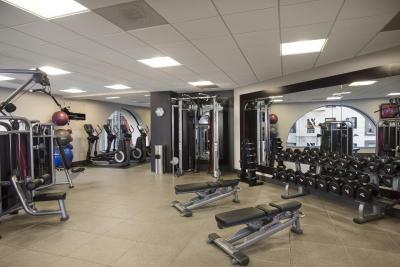 Guests can work out in the large on-site fitness center. 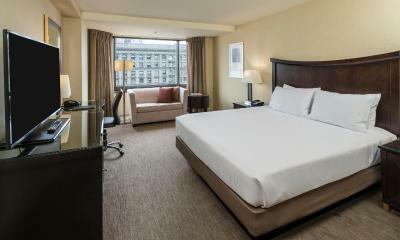 Hilton Parc 55 Union Square is within an 11 minute walk of the San Francisco Museum of Art and the Yerba Buena Gardens. 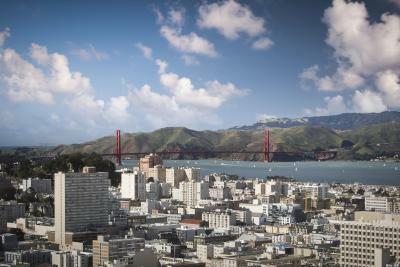 The hotel is 14 miles from San Francisco International Airport. 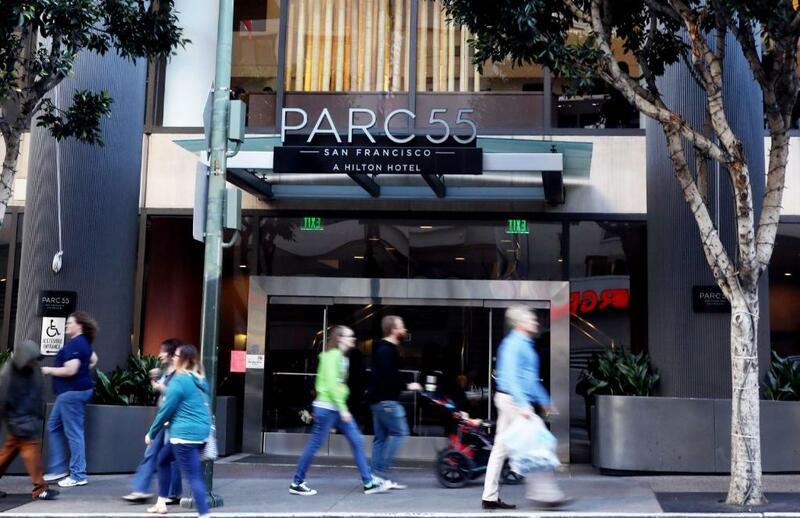 When would you like to stay at Hilton Parc 55 San Francisco Union Square? City views are featured from bay windows. Marble surfaces, a vanity and a massage shower head are featured in the private bathroom. An over-sized work desk and an ergonomic chair are featured in this room. 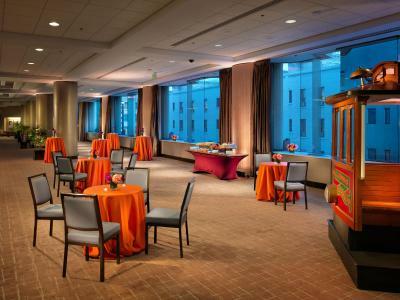 These rooms are on floors 5-15. Please note that the rate is based on 2 guests. Maximum occupancy is 4 adult guests (see Hotel Policies). Skyline views are featured from bay windows. Marble surfaces, a vanity and a massage shower head are featured in the private bathroom. An over-sized work desk and an ergonomic chair are featured in this room. 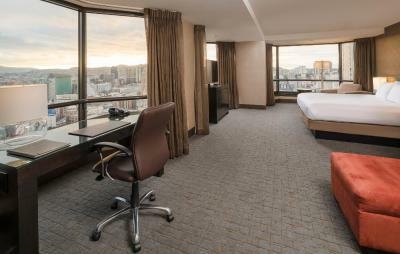 This spacious suite features city views, bay-style windows, a sitting area, an LCD TV and an ergonomic workstation. 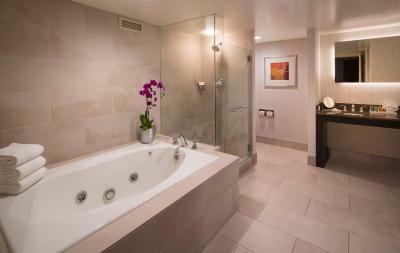 Marble surfaces, a vanity and a massage shower head are featured in the private bathroom in this accessible room. An over-sized work desk and an ergonomic chair are featured are provided in this room. 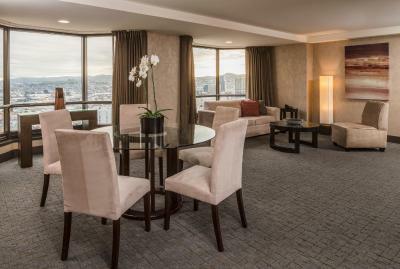 Panoramic city views are featured from bay windows in this spacious high floor suite. Free WiFi and a separate living room is also featured. Marble surfaces, a vanity and a massage shower head are featured in the private bathroom. An over-sized work desk and an ergonomic chair are featured in this room. Marble surfaces, a vanity and a massage shower head are featured in the private bathroom. An over-sized work desk and an ergonomic chair are featured in this room. Mobility and hearing accessible features blend into this room's decor. 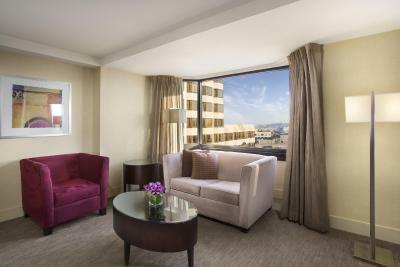 City views are featured from bay windows in this high floor suite. There is a separate living room. Marble surfaces, a vanity and a massage shower head are featured in the private bathroom. An over-sized work desk and an ergonomic chair are featured in this one-bedroom suite. 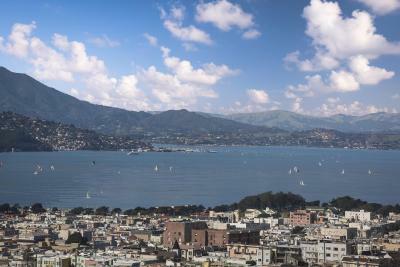 Ocean views are featured from bay windows in this spacious high floor suite. Free WiFi and a separate living room are also featured. Marble surfaces, a vanity and a massage shower head are featured in the private bathroom. An over-sized work desk and an ergonomic chair are featured in this room. Marble surfaces, a vanity and a massage shower head are featured in the private bathroom. An over-sized work desk and an ergonomic chair are featured in this room. 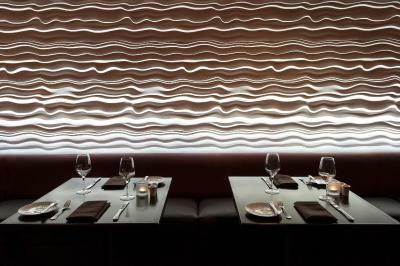 Hearing accessible features blend into this room's decor. City views are featured from bay windows in this room. Marble surfaces, a vanity and a massage shower head are featured in the private bathroom. An over-sized work desk and an ergonomic chair are featured in this room. Hearing accessible features blend into this room's decor. 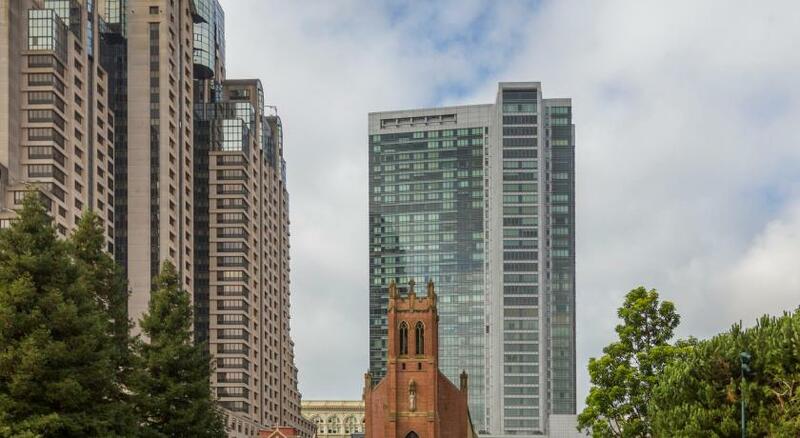 Skyline views are featured from bay windows. Marble surfaces, a vanity and a massage shower head are featured in the private bathroom. An over-sized work desk and an ergonomic chair are featured in this room. Mobility and hearing accessible features blend into this room's decor. City views are featured from bay windows in this room. Marble surfaces, a vanity and a massage shower head are featured in the private bathroom. An over-sized work desk and an ergonomic chair are featured in this room. City views are featured from bay windows in this room. Marble surfaces, a vanity and a massage shower head are featured in the private bathroom. An over-sized work desk and an ergonomic chair are featured in this room. 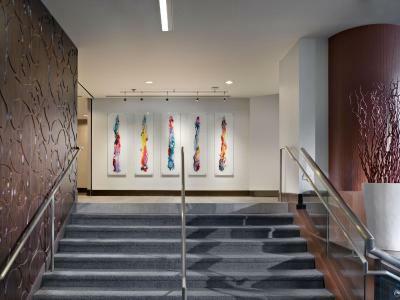 Mobility and hearing accessible features blend into this room's decor. 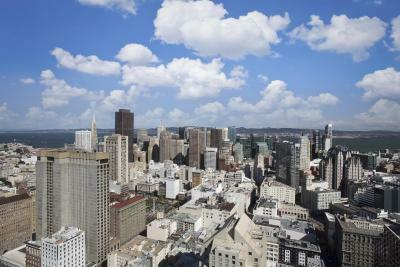 Skyline views are featured from bay windows. Marble surfaces, a vanity and a massage shower head are featured in the private bathroom. An over-sized work desk and an ergonomic chair are featured in this room. Hearing accessible features blend into this room's decor. Skyline views are featured from bay windows. Marble surfaces, a vanity and a massage shower head are featured in the private bathroom. An over-sized work desk and an ergonomic chair are featured in this room. 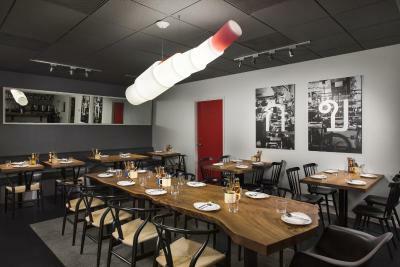 Hearing accessible featured blend into this room's decor. Also has a roll-in shower. A sitting area is featured in this junior suite. Marble surfaces, a vanity and a massage shower head are featured in the private bathroom. An over-sized work desk and an ergonomic chair are featured in this room. Hearing accessible features blend into this room's decor. 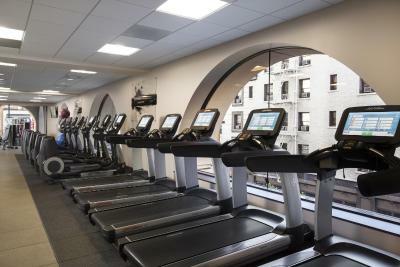 This room allows guests to work out in the comfort of their own room. Yoga, cycling, TRX suspension training, strength conditioning, therapeutic stretching, and High Intensity Interval Training are all available. A digital touchscreen kiosk monitor serves as a guide through equipment tutorial and exclusive Hilton workout content. 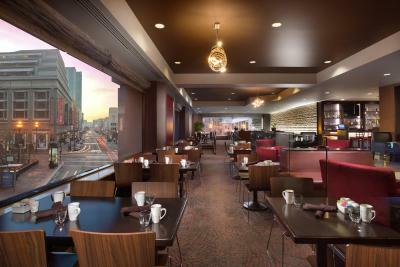 House Rules Hilton Parc 55 San Francisco Union Square takes special requests – add in the next step! 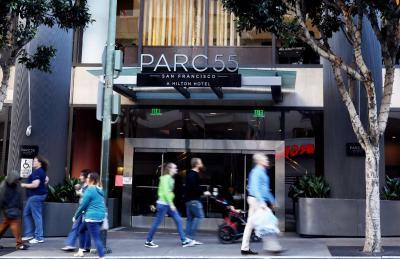 Hilton Parc 55 San Francisco Union Square accepts these cards and reserves the right to temporarily hold an amount prior to arrival. A daily deposit will be placed on hold for incidentals to the credit/debit card provided at the time of check-in. Daily deposits secured by debit card can take up to 4 weeks to release authorization. Cash or reloadable debit cards will not be accepted to hold deposits at check-in. Additional parking fees apply for oversize vehicles.